We have been watching the summer Olympics a lot. We have been watching "Minnesota" win gold medals. Today we were watching the sport of "diving off a cliff." We were also watching rhythmic gymnastics. I am certain that I could do those things if I just had the right ball or floor mat. There are a lot of commercials during the Olympics. I learned how to sing the song, "I just want to be okay." (Did you know "tobeokay means 'Christmas' in French?") The first night of the Olympics were the opening ceremonies. 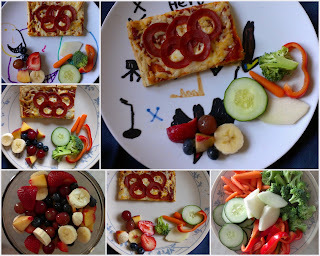 Mom made Olympic rings on our pizza and we had a picnic in the living room while we watched them. I hope you are having fun watching the Olympics. "Go USA!" 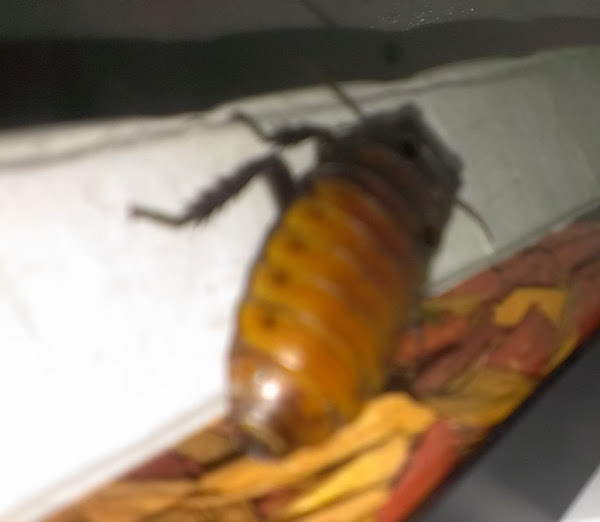 I have three Madagascar Hissing Cockroaches. I named them Hissbliss, Hisser and Hissy. Hissbliss is the big one. He also has an antenna cut off. Hisser has the longest antennae. Hissy has short antennae. To people who love bugs: super cool! To people who don't: super scary. The bug guy gave them to me. The bug guy's name is Bruce. He does little presentations about bugs. He has more hissing cockroaches. He has cecropia moth caterpillars with little stiff colorful mace balls all over their backs. They don't hurt you. None of the things the bug guy has can hurt you. Except the terantula and the scorpion. One of the terantulas was crabby, so we had to hold its cage. The other one we got to hold out of its cage. Why would we get to hold the scorpion out of its cage? 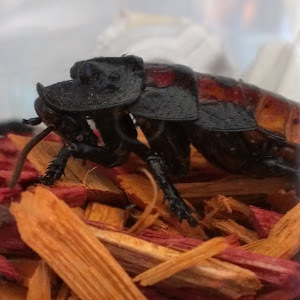 The bug guy also has giant millepedes. I feed my hissers a mixture of dog food, cat food and fish food. You can feed them most pet food, vegetables, and fruits. 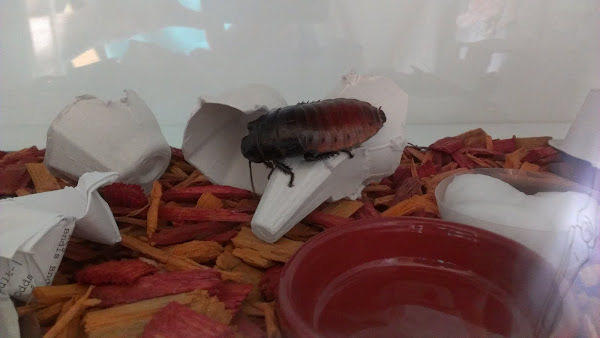 I built a playground for my hissing cockroaches. It has little hideouts and they like to hide. I built a big hideout to go along with the little hideouts. I call it climbers and hiders. We colored our own pictures when I was at theater camp. I colored a princess. I colored a tower. And we made wings. And we made crowns. But we didn't make wands. They pulled off pieces of golden pipe cleaners that were on headbands, they put them beside us, and they twisted them up and then they became wands with little golden balls on them. On the last day of theater camp, we hided and then we goed out and showed our mothers and daddies our wings and our crowns and our wands. We sang: "Do you know what fairies do? We sprinkle them with pixie dust and make a special wish." The End. That's my story! I think summer school is busier than any other school season. We are in the throes of activities right now. We still keep up piano lessons and we've got to practice some math facts. Then throw in swimming lessons, park days, bug camp, story time, summer reading programs, service learning, field trips, theater camp, Lego camp, gymnastics, family visiting and visiting friends. And that's just when we are not on vacation :) We've got to take breaks for the 4th of July, anniversaries, and family reunions! It's been a really hot summer, so we've been trying to come up with fun things to do indoors on all those dangerously hot days. Our latest project is building the globe. 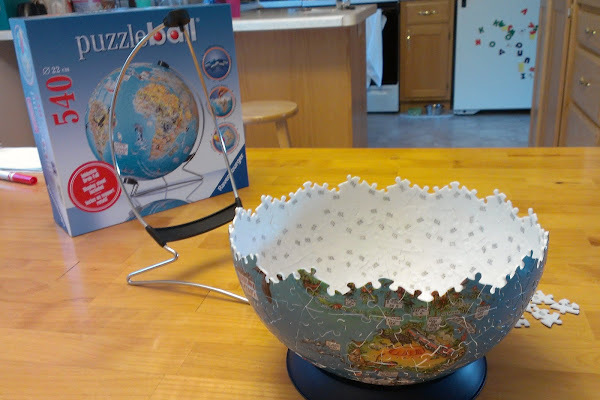 We found ONE Ravensburger 540-piece globe puzzle on the red dot table at Barnes & Noble! Score! It's been a great project. I'd been wanting to get a globe and this looks to be a good starter. It's surprisingly sturdy. When it's all complete he can take the World Landmarks book I found at the Target dollar spot and see which landmarks he can locate on the globe. Fun! Inexpensive! Educational! And it beats the heat for this cool weather mom. Some new origami!!!!!!!! Magical diamond! A genie lamp double pocket! Double squares! The magical diamond and genie lamp double pocket are made from the fortune tellers. Take a strip of paper. Fold it in half the short way. Flip it over. Fold it in half the short way again. Pull out the middle to the open side and then it will look like two squares overlapping. Fold a square piece of paper into a triangle. Unfold. Fold it into a triangle the other way. Unfold. Fold the corners into the center. Flip over. Fold the corners into the center. Fold in half. Unfold. Fold in half the other way. Put your thumb and index finger in one pocket. Then do the same with the other side. Push together. Now you have a fortune teller. Push in all the pockets of the fortune teller. Then unfold into a square. Fold into a triangle. Then tape the top corners together. Then push at the other corners a little. If you want, you can tape a genie to come out of one side. This photo of the genie lamp was edited a lot, but it turned out just the same! Make a fortune teller. Push in all the pockets. Draw a design on two sides. And leave the other sides blank. To use: Start with the blank side up. Then turn it so it looks thin. Then unfold it (do this quickly). The end. That is a true story. 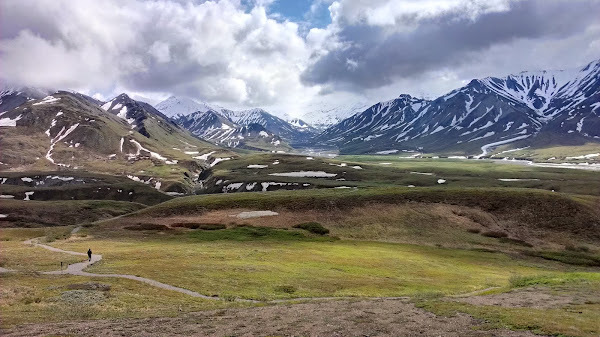 I put up some photos I took on my new phone (HTC OneX) while in Alaska. Darren's still working on his, so I'm sure there will be better pictures to come. But our phones do a pretty awesome job! Darren and I took a wonderful vacation to Alaska for our 15th wedding anniversary. 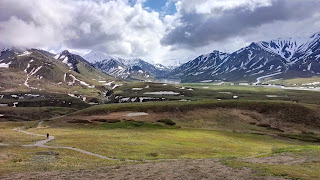 We got to spend some time with my aunt who lives in Anchorage, take a train to Denali National Park and back, see Mt. McKinley in all its glory, drive the Seward Highway, take a dinner cruise in Seward, and see a pod of around 14 humpback whales feeding (of which I took a VIDEO http://youtu.be/JSdk6uny6xM ). It was an awe inspiring trip. We would love to return sometime, hopefully sooner rather than later. In the meantime, we will enjoy eating all the wild Alaskan fish we brought back from the fish market. Days before we departed on our vacation, we decided to sell our van to Darren's sister. They were looking to upgrade their van which they put a lot more miles on than we do. We had been seriously considering downsizing. It seemed like a win-win for everyone. Only problem was, we didn't know what we should buy. No problem. We were going away for a week. We'd have lots of time to weigh our options and shop when we got back. Enter the tax forfeited land auction. Sunday evening, a full 24-hours after returning from our Alaskan vacation, (the laundry was almost finished) Darren discovers that the land auction is happening the following night. Some of the lots we had looked at half a dozen years ago and decided we couldn't afford were now up for public auction (go figure). Should he go? Then he notices a lot on a small river that we'd never seen before. Should he work from home the next day so we can go check it out and do some research? Why not? We have less than 24 hours in which to make the decision. Long story short, we now own a 1.86 acre river lot in the city. I guess we'll be needing to design, build, sell and move into a house! That will take some time. Thankfully, it's been a very rainy week so we don't feel too bad that the lawn hasn't been mowed since we've been back. We've been quite busy researching property, car shopping, catching up from vacation, and getting the kids to their activities (this week and next happen to be the busiest weeks of their summer). Three butterflies have been released, there are four chrysalises in the tank, one lonely caterpillar is munching away, and three babies were lost by a junior entomologist who hopefully learned a valuable lesson as to why mom (who was on vacation in lovely Alaska) makes him keep and refer to the notes in his scientific journal. I should probably also mention that Eliana had an asthma flare-up this week. It's been a loooong time since she's had one this bad - probably before she started on her medication, which we had been weaning her off of. So, unfortunately, it looks like she still needs it. I wanted to mention this so that it will be in the record books. Maybe we'll find out it's related to seasonal allergies or something. I also don't want this bit of craziness to get lost in the rest of the craziness of our lives right now. 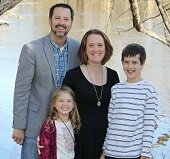 Our family's health and well being is the #1 priority. The rest is all "stuff." Darren and I got new toys. Our new phones can do some fun things. I whipped up a beautiful video of the monarch caterpillars we are raising. Follow their progress in the May photo album. We are on Day 4. Gotta go pick some fresh milkweed! We got our results! I've got to say, that seemed really fast! We sent the test back to the U of M on a Monday and the results were in our mailbox in just over a week on Thursday. Being one who likes charts, graphs, percents and numbers, I enjoyed looking them over. Nothing surprised me. I was sitting across from him while he took the test watching how he answered :) (Which was very nice because I could see EXACTLY which concepts he struggled with.) I wasn't sure if it was worthwhile doing this particular test while we were doing it because it took four entire mornings, but in hindsight, I think it's the one we'll stick with. The results are well laid out and easy to talk about with William. And we'll be able to compare his progress from one year to the next in the various subject areas. For example, we have quantitative evidence that math facts are his weakness (he is average *gasp*), so we can put more emphasis on practicing them, getting faster and more confident. Then we can test again next year to see if his percentile score improves. I also really like that he gets practice with the fill-in-the-bubble type of test which he will need to do eventually for more important reasons. All in all, it was a good experience!